Rustic style two tone round willow basket with handles is a great addition to your shop display and home décor. 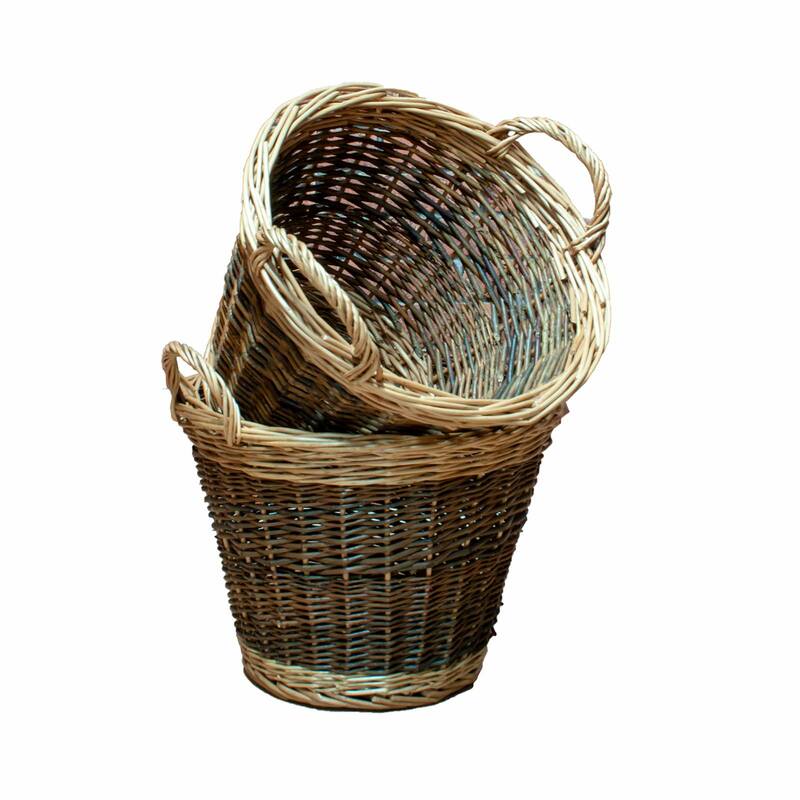 Strong, durable and high quality hand woven finish, this basket is ideal for storing or displaying vegetables, snacks, yarn, toys, wine, logs or kindling. Ideal for bakeries, farmers markets, wine stores, kitchens, and living rooms with a country & rustic theme. As these baskets are handmade, sizes may vary slightly. 300mm / 30cm / 11.75"